Renaldo Strayhorn, Ph.D., LMFT: You Deserve a Break Today - Ethics, Morals, Politics, Standards. Is it too Much? You Deserve a Break Today - Ethics, Morals, Politics, Standards. Is it too Much? What a Bunch of Kroc! No Really? It's Becoming Overwhelming and Complicated, No? Some writers are smooth in their blending of ideas and transitioning devices to social relevance. Basic writing skill helps the reader and allows for the communication to be effective. So, I could lie and say that I am intentionally manipulating readers to think more by forcing people to ask questions but this is not true. In reality, I have not fully developed my thoughts coherently. This, perhaps is a representation of the American psyche due to the countries polared thinking that has been present since before the presidential election. One could hope that in the near future there would be a better understand of what is surfacing in the collective unconscious of American. So I will just shove some topics together haphazardly. For starters there is this film you must see. Although I am not writing a film review, The Founder starring Michael Keaton is a must see as it taps into some current themes of today, which unfortunately has been present since the Reagan Administration. Additionally, how has the recent political climate affected our overall awareness and comprehension of past standards and ethics, and, do standard and ethics change to adapt to the present as we know it? and, now challenged with the uber popular makers of fast beveraged Frappuccinos - the ever so convenient Starbucks, Manning Up by becoming non-passive in their principles. Since when has coffee become political? Or, more accurately, since when has a coffee bistro chain become socially philosophical. Or, eeeeek dare one pronounce Seattle’s coffee as socially relevant? The Starbucks refugee program seems to be a positive company policy once fully understood in that they are targeting niched communities to support. To further explain, positive not meaning good for everyone; but, positive meaning that Starbucks has executed a decision and is clean in its intentions - a vision or mission, perhaps, regardless whether everyone agrees. They seem firm in their idea of continuing their Starbucks Safe Haven Community Program and via narratives continue the dialogue for safety and equality evidenced by their platform for Unconditional Acceptance. So, there is an underlying theme that might be overlooked during the past several months. Now it seems everything has become political and things that were quirky or good intended now become politically publicized. The transition for linking political climate with this subplot of America’s persona might not be a smooth discussion to explore. We could drag the narrative to infinity about immigration and Health Care reform and Supreme Court Nominations and, the list does not seem to stop past infinity. But the cumbersome transition is about humanity and defining our ethical standards and moral platform. As this country is so vastly different the nation’s cultural diversity is a blessing and a challenge. Challenges come just because of the large population and regional logistical differences that are so apparent. It could be argued that the corporate attorney who was born and raised and now living in New York City has absolutely no connection or identity to the secluded Appalachian mountain people of Irish and Scottish bloodlines who have experienced the hauntingly simplicity of stopped time since the colonial period of the 1600’s (Scarborough, 1937). 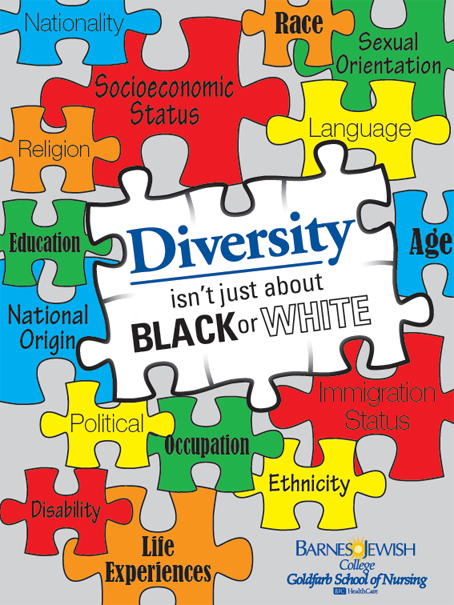 So with such diversity of rich and poor, color, language, religion how do we understand morals, ethics, and standards in the mosaic of alternative diversity. Social etiquette. And political correctness (a euphemism for civil respect and behaving oneself in public). As many might recognize, communication has changed significantly with news information being filtered through only three networks only at 6:00 p.m in the 1950; but, now you receive global information on hundreds of channels throughout the day. And how we receive information is contingent on whether you choose to even use media television vs. social media networking. Do who we perceive as leaders or role models or significant and moral/spiritual/shamanic guides in our lives changed over time? And if so, what impact are they providing in our present day society? These questions of “alternative facts” and plagiarism of another’s speech and the debasing of our countrymen and lowering of standards (from many people in high profiled positions) is not new. It has just become more, and more visible; and, sadly, tolerable. The new tolerable. The new accepted. The point is, ladies and gentleman, that greed, for lack of a better word, is good.Greed is right, greed works. Greed clarifies, cuts through, and captures the essence of the evolutionary spirit. Greed, in all of its forms; greed for life, for money, for love, knowledge has marked the upward surge of mankind. There was a time when this new way of thinking was sold to the Americas. But this is the true opposite of the First Americans belief system. Moreover, as we are seeing in so many forms this greed is not only bad but the spiral and the demonic downfall of America. It is nothing more than a sales pitch that we have bought by the wolves. Just like the Golden Arches which we have come to admire and love: The church, the flag and the Golden Arches. We as Americans were targeted to believe how American and symbolically great McDonald’s is: Image. So beware of the symbolic serpent that tarnishes good. I think we have to be careful of our passions and religion and imprints from our upbringing. There is good in this. But we must not be afraid to question and to demand with expectations. We must be aware of being bamboozeled with leaders and false charlatans pitching us their agendas. Watch The Founder, look out for mankind and your neighbors, and be aware of the defines of morals, ethics, truth, integrity and social mindfulness. And if you do get the chance to see Keaton he might just awaken you from the comatosed American fantasy and falsehood of a golden era that was telling you to “look for the golden arches;” and maybe, just maybe, you to recognize it for what it truly is. A bunch of Kroc. Happy Valentines Day -- With or Without Strings.